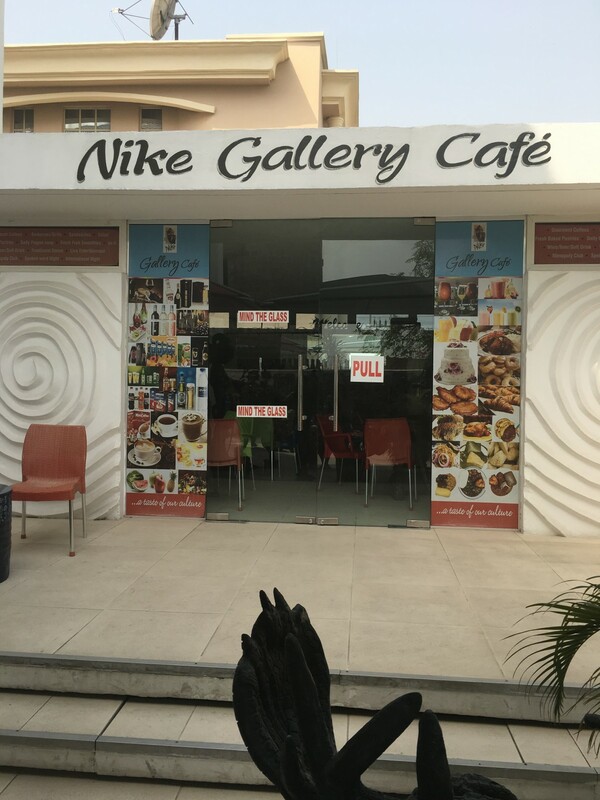 I came across Nike Art Gallery by chance while looking for “art village” (another arts and crafts place in Lekki which I still haven’t found). 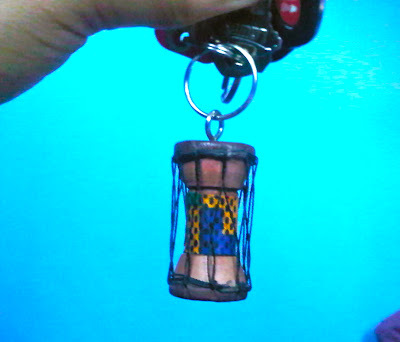 I was in search of little souvenirs (like key chains) that had some kind of message pertaining to Nigeria. Upon entering, I figured it was a high-class/expensive kind of place but I still decided to go in and look. I’m glad I did! As I looked around the gallery, I noticed the high quality of the art pieces. I figured everything would be very expensive so I inquired about the prices. The cheapest painting/picture cost 30,000 naira. There were also many pieces priced in millions of naira. Everyone is allowed to come into this gallery. They also allow the use of cameras inside the gallery. You can take pictures of yourself as well as pictures of the art pieces you fancy. I also browsed through their website and found that they offer classes including indigo dying, sculpting, painting, quilting, drumming and dancing. They also offer all-inclusive tours and one can buy art pieces from their website. Some other items they sell include ankara earrings, notebooks and jewelry, sculptures, and wood carvings. I ended up buying different variations of the keychain below. Each one had a different ankara material and cost 600 naira. I even kept one for myself! Boy! 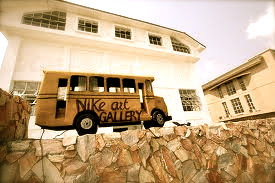 Nike art gallery is the place to be for any artist. Over 7000 works to look through and get inspired but some could do with a little dusting lol. One work that stood out for me was the mosaic of the Chibok girls and their mothers but other than that, there are so many other works one can’t go through no matter how many times you go back. Great service, parking space is okay. Way back, one could sell their artwork to the gallery and get instant payment after approval but not so sure it’s still done now. Anyone interested in doing that can always go to the gallery and find out. There’s a mini restaurant just at the entrance but doesn’t seem to be in service because they had nothing available when I went. It’s a lovely place for a photo shoot (one has to inform the management though) and a good place to pick a new art work for that space that’s lacking a piece in your home or office. From the moment I arrived at the Nike art gallery it was absolutely captivating and intriguing. The first thing that caught my eyes were the tyres that were recycled into artworks used for decoration, who could have ever thought about that?, the level of creativity displayed at the gallery is breath taking and always leaves me stunned. I had the opportunity of meeting mummy Nike and her husband myself and the were amazing! so welcoming, humble, ever ready to show you around and answer every question. I went further to read up on the gallery and realised its the largest art gallery in west Africa, this is one of the reasons im proud to be a nigerian.?? The location is so serene,ill give it a ? 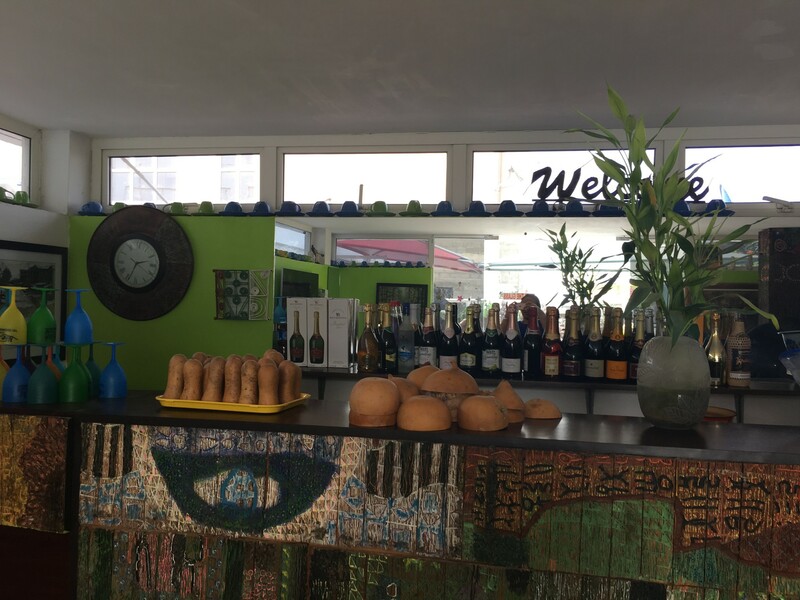 And they also have a wonderful cafe. The gallery is absolutely amazing and very relaxing. I left with some art works, an earring and a pen which are quite affordable. This place is the truth! Hands down the best art gallery I’ve been to in any country! Loved that it is all Nigerian artists that are featured. I believe 4 floors of true art work of all types! The folks that work there are great and gave my friend and I a tour explaining the art on each floor. I will be back. You honestly can’t appreciate everything in one visit! Out of all the tourist activities I did, this was my favorite. All the pieces of work are so beautiful and there is so much variety. Very clean, inviting environment. Spent nearly 2 hours there, looking through everything. The staff is attentive, making it easy to ask questions and you are able to buy items as well. I believe there were about 5 levels to the gallery. Definitely a must see if you are in Lekki. Been a while I’ve been here but stopped by today and walked all the floors again. Breathetaking artwork and still very pricy. However, there’s now a cafe outside that serves free soda and water for guests. I have once visited nike art gallery and got trilled by wonderful art pieces I found in the art gallery. Oh wow! I can't believe it was down d road from my house and I never checked it out til I moved! Def a must-go the next tym I'm in lagos….just wish these galleries would make affordable stuff for the mass market. Meanwhile,there are some mallams just off Awolowo road who sell african print and artwork,bought a couple of batik prints there for cheap,and they were very lovely gifts,and easy to travel with….cos all I did was bring it like that and d pple I gave framed it themselves….reminds me of d crafts market in kano! Its a must-check,but they sell the stuff on the sly,cos the govt has chased all the roadside traders,but u can find them lurking arnd Raymond Njoku str,from where they'l take you to where the stash is @! this is a very interesting piece, good job RN. 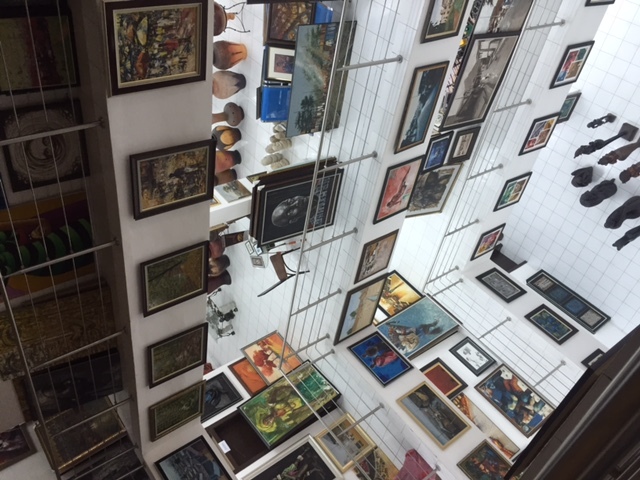 it looks like an interesting place to visit…i love 'art' and just added this gallery on my list of places to go in nigeria. thanks RN. keep up the good work!